Proving that it’s not just the Germans who lack a sense of humour, a bunch of English expats are trying to have the word Pom banned in Australia. 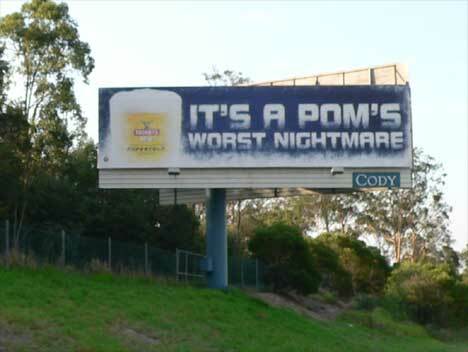 The so called ‘British People Against Racial Discrimination’ have complained to the Advertising Standards Board about a series of ads for Tooheys Supercold which claim the beer is ‘cold enough to scare a Pom’. Icing the cake very nicely, Foster went on to say, "Frankly, as a Pom, I'm not the least bit offended."